We're sitting down with our favorite writers and cooks to talk about their upcoming projects, their best food memories, and just about anything else. Today: James Oseland, Editor in Chief of Organic Life and previous Piglet judge, on his picks for this year’s best cookbooks, his kind of healthful eating, and which far-flung cuisine we’ll be eating next. After many years at Saveur, James Oseland recently took the helm as Editor in Chief of Rodale's Organic Life. He’s busy at work on the inaugural issue, which hits stands mid-April, but we wanted to get the previous Piglet judge’s take on his favorite cookbooks (what he calls “intellectual slow food”), the next hot foreign cuisine, and his definition of healthful eating (hint: not just sprouts and kale salads). If you were picking the 2015 Piglet contenders, which cookbooks would be at the top of your list? I love that question for a couple of reasons! One, because I think that The Piglet is a fantastic arbiter of the previous year’s cookbooks. And two, because this year has been an especially diverse and exciting year for cookbooks. At the top of my list is The Kitchen Ecosystem, a deeply personal book from the fabulous writer Eugenia Bone. 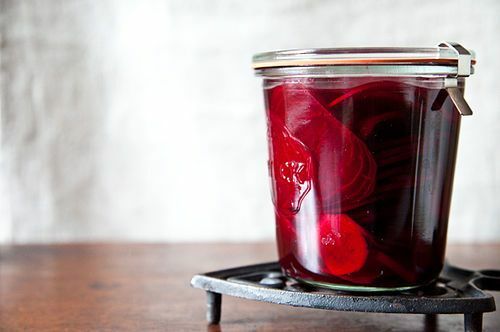 It’s built around a genius stratagem that each meal you cook can yield not just that night’s dinner but more: an essential pantry item, an element for the next meal, and the next. Prep fresh ginger for a scallop crudo, and you can steep some of it to make a syrup for poaching pears, then strain the steeped ginger and candy it. Rather, in other words, than playing catch-as-catch-can with leftovers, Eugenia empowers home cooks to be intentional in their preparation. She takes the idea of the harried “easy weeknight meal” and explodes it in this synergistic way. The book is an inspiration. More: On why we love The Kitchen Ecosystem, too. I also highly recommend Bitter from Jennifer McLagan, the Canadian writer whose single topic book Bones is one of my all-time favorites. I’ve long been an acolyte of the world of bitter tastes, and in this book she brilliantly brings together global recipes that put a spotlight on a part of our palate that goes under-appreciated. Dandelion potato rösti? Seville orange pork shoulder? Roasted squab with ganache? I freaking loved it. 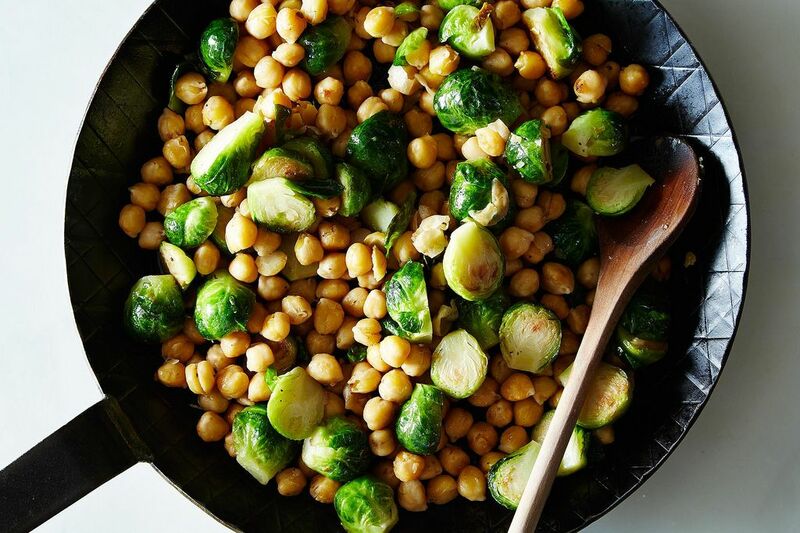 More: A just-bitter-enough recipe for brussels sprouts and chickpeas from Bitter. Another favorite is Sweet & Southern by former Saveur (and now Food and Wine) test kitchen wunderkind Ben Mims. Ben based his book on my very favorite Saveur story of all time, Sweet Southern Dreams, an essay that’s both a paean to the glorious cakes of his Southern childhood and a heartfelt story of his coming out as a gay man to his family. The book is a masterful collection of insanely appealing dessert recipes, based on tradition but with a loads of modern flair. Gabrielle Hamilton’s Prune needs to be on this list. A lot of ink has been spilled about how fabulous this book is, and it’s all true. The garbage chapter alone, which details the use of the odds and ends of foods we’d otherwise just throw away -- the leek tops and sardine spines and Parmesan rind -- should be required reading for all cooks. 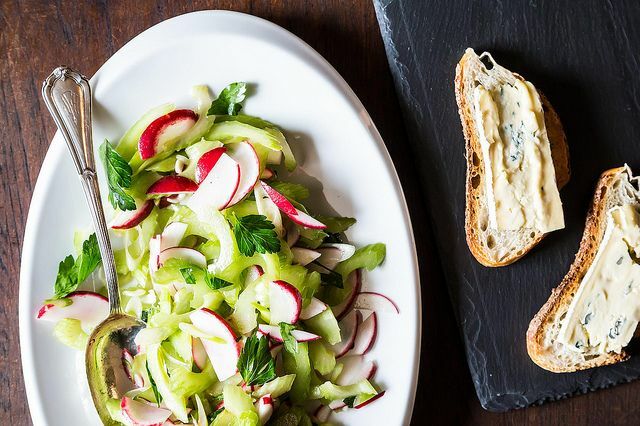 More: Amanda's take on Prune's celery salad with Cambozola toast. Cookbook author Aglaia Kremezi is Greece’s Julia Child and Hugh Fearnley-Whittingstall rolled into one. Her Mediterranean Vegetarian Feasts -- a largely Greek-inspired compendium of dishes -- is a beautiful, homey antidote to the more-complicated fare found in a lot of the other vegetable cookbooks out this year. Eggplant cake with onions and walnuts; zucchini rolls stuffed with halloumi; fresh fava beans with coriander seeds, garlic, and cilantro -- this is soul-enriching home food with a classic lineage. Last but absolutely not least, the phenomenal Andrea Nguyen's The Banh Mi Handbook is a joyous -- and delicious -- salute to the world’s ultimate fusion food. 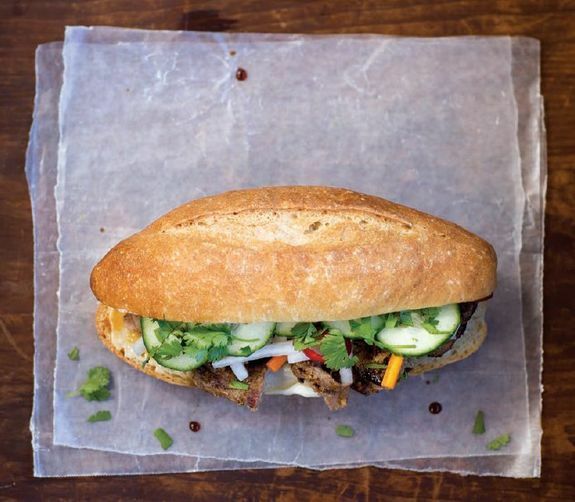 More: Learn how to build a banh mi sandwich from Andrea herself. Many recent cookbooks focus on a global cuisine, whether it's French or Greek or Middle Eastern. What do you think is behind the growing interest in international food, and what do you think will be the next hot region du jour? We’re at an amazing moment in global food consciousness. You know, I’ve had my nose deep in cookbooks since I was a child, and I remember that, once upon a time, for example, “Indonesian satay” recipes called for ketchup. But our slipshod knowledge of the cuisines of the world has miraculously transformed. We live in a globalized, deeply connected world, which has stoked our hunger for ever more comprehensive information. Today we are gifted with deep-dive cookbooks covering very specific regional cuisines. The more we learn from these amazing books (and blogs and videos and other media), the smarter and more intuitive we become as cooks, and the more we want to know. It’s a self-perpetuating endeavor: We are building our identities as cooks, as eaters, as people around our peripatetic appetites. So, where are we traveling and eating next? I’ve been saying this for a number of years, but I think that a fascination with the regional cuisines of Southeast Asia is a driving force in Western cooking right now. Want a richer understanding of the herbs used in the traditional dishes of the previously ill-understood Burma? Check out Naomi Duguid’s recent book. 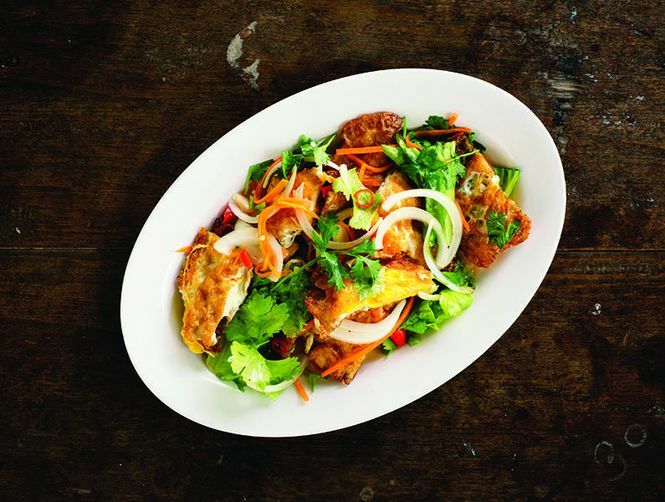 Interested in the intricate regional variations found in the cuisines of Thailand? Say hello to Andy Ricker of Pok Pok. This is not just a trend; the region offers a nearly inexhaustible source of creativity in the kitchen, and we’ve only just tapped its surface. 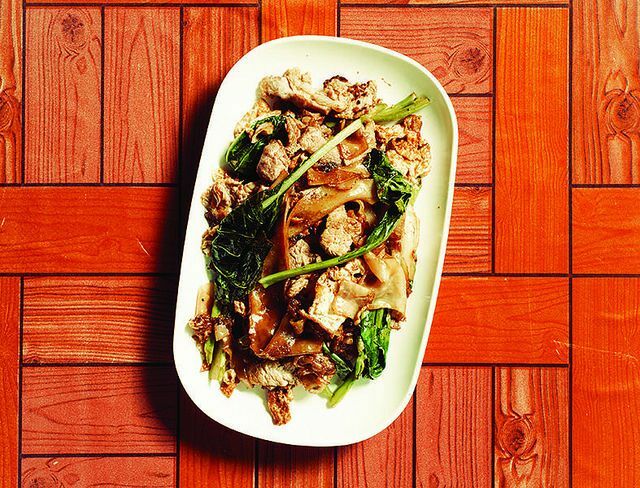 More: Take a journey to Ricker's Thailand with these 4 recipes from his book. Here's the deserted island question: What one cookbook would you pick to bring with you? The legendary British food writer Elizabeth David’s Summer Cooking. It’s been a source of inspiration since I found it at the bottom of a dusty used bookstore in Palo Alto in the 1970s. What’s summer cooking? In David’s own words: “It means catching at the opportunity of eating fresh food freshly cooked.” As a native Californian, I got that completely, and I still do. But David wrote about getting “the maximum enjoyment out of the produce which grows in the summer season” way back in 1955, when the vegetables in most American homes came from a can. She was a visionary, and her vision has proven its staying power. Reading David now, cooking through the recipes, feels as “fresh,” if I may, as it did when I first discovered it. How will Organic Life approach food and cooking? When people hear of a magazine called Organic Life, they might think that we’ll be covering detox diets and gluten intolerance and vegan knockoffs of classic carnivore dishes. But our mission is to expand the notion of healthful eating. We want to shake this notion of organic food as a pile of sprouts and some seven-grain bread, and instead look at delicious global food that happens to be made with really pure ingredients that are good for the planet and good for our bodies. There’s been too much thinking that healthful eating has got to be suffered through. For us, nothing could be further from the truth. Healthful eating should be enjoyed and embraced. How do we do that? By not only celebrating it, but by learning about it. We’re going to teach our readers to eat better by being better-informed cooks, and better-informed consumers, of food. That’s a tremendously pleasurable endeavor. 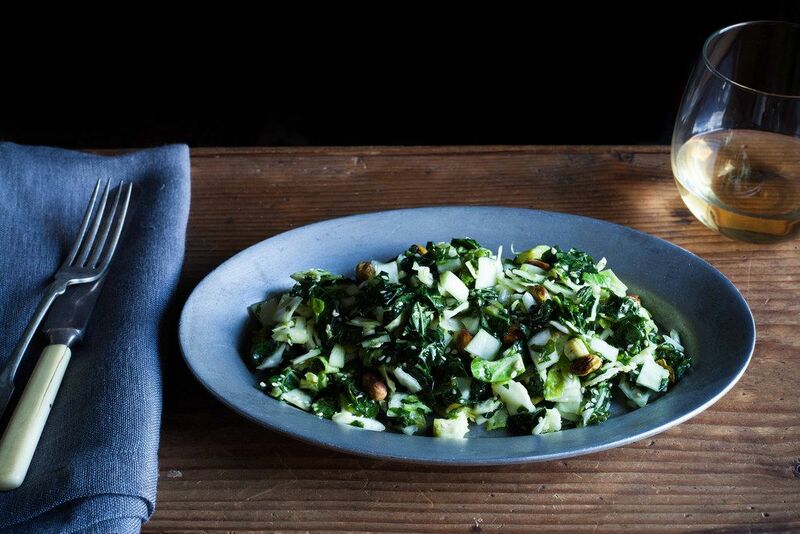 More: A salad that proves that what's good for you can also be delicious. You and magazines go way back, and you've written a book too (with another on the way). How are the two print media different and similar to you? In many respects they’re vastly different. It’s like comparing Wagner’s Siegfried to a series of one-acts. Books are operatic and slow; the way the reader interrelates with the material is totally different than the more quickly consumed bites of really good magazine-making. That said, I think there’s something irreplaceable about the way that a reader relates to a physical printed object that will never be replaced by a digital product. Magazines and books are, still, a kind of intellectual slow food. They are meant to be savored. And even though they are different mediums, they complement one another very beautifully. More: Shop our In Print Collection for books and magazines we savor. Such lovely, thoughtful comments and great picks from a previous piglet. And, I've got to tell you, I love that picture of James from the 1970s. Thanks!